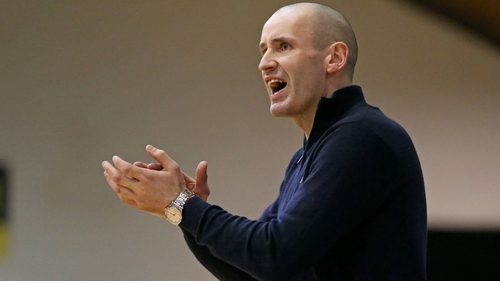 Basketball Ireland have appointed James Weldon as Head Coach of the Ireland Senior Women’s team. Weldon will start work on 1 January, 2019 and will coach the squad up until the conclusion of the 2020 FIBA Women’s European Championship for Small Countries. He succeeds Mark Scannell as head coach, who led Ireland to a sixth-place finish at the first edition of the Championships to be held on these shores. Weldon has been involved with international level coaching on numerous occasions over the past number of years, including roles as head coach of the Irish Senior Women’s Select team (2012, 2013 and 2015), assistant coach to Hibernia Senior Men’s team (2015) and Head Coach of the Irish Under 18 women’s team (2005, 2007 and 2013). He also enjoyed considerable success in the women’s club game having been head coach of UL Huskies senior women’s team that won three premier league titles, two national Cup titles and four regular season titles. Weldon was also a part of former Kerry fooball manager Eamon Fitzmaurice's back-room team. The Killarney man said: "I’m honoured that I have been afforded this opportunity by the EPC (Elite Performance Committee) and the Women’s committee. "My coaching team and I will do everything we can over the next year and a half to get the players up to the required levels for international basketball. "Over the next few months we will be scouting the leagues, monitoring players and potential players abroad. It’s an exciting time to be involved with the team."